Nuon Chea and Khieu Samphan are responsible for the enslavement, murder and death by disease of Cambodians during the “most extreme” revolution in the history of the modern world, the prosecution at the Khmer Rouge tribunal argued in its closing statement on Wednesday. In impassioned pitches to the Trial Chamber, the lawyers argued there was no doubt that Nuon Chea, the regime’s second-in-command, and head of state Khieu Samphan knew of the devastation being inflicted on their watches in the 1970s. Prosecutor Chea Leang said the ultra-communists’ mass worksites and cooperatives affected “virtually every Cambodian” unfortunate enough to live through them. Up to 2 million people died of execution, starvation and disease during the regime. “For every Cambodian not already under the control of the Khmer Rouge, life as they knew it ended on 17 April, 1975,” Ms. Leang said, in reference to the day the regime took control of Phnom Penh. “Your job or occupation, your home, your religion, your family life, and friendships—virtually every defining part of the Cambodian people’s day-to-day lives—were taken away from them by the [Communist Party of Kampuchea] as part of what was the most extreme and radical transformation of any society in modern times,” she said. 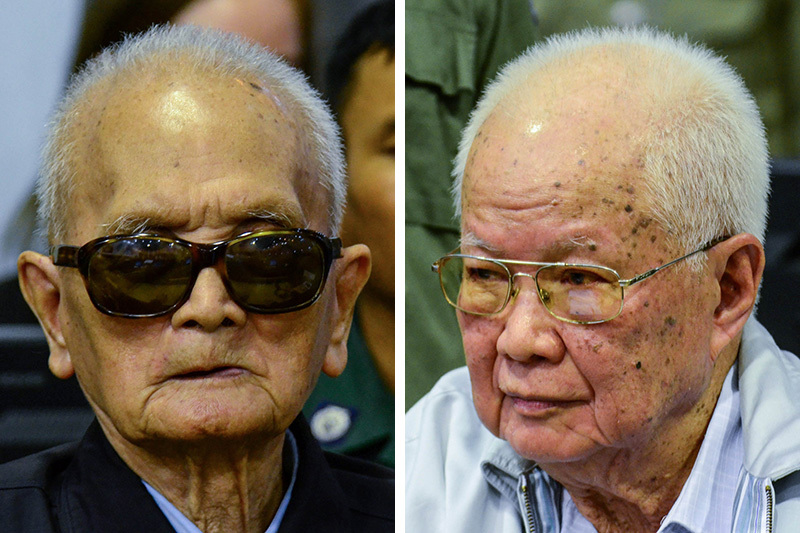 Defense teams have argued that the Khmer Rouge leaders were unaware of the horrors unfolding in the countryside, while Nuon Chea’s lawyers have blamed rebellious zone leaders who were defying orders. However, the prosecution cited reports to the party center from zone and district leaders about illness and starvation, and minutes of meetings in Phnom Penh in which the regime’s standing committee would give orders. These documents illustrate how the party leadership wielded “ultimate control” over the country, Ms. Leang argued, also citing an interview with the late King Norodom Sihanouk, who described the dire conditions he witnessed while traveling the country with Khieu Samphan. In an attempt to place the regime’s brutality in context, Mr. Lysak cited an April report by Amnesty International that put the number of people executed worldwide last year, excluding China, at 1,032. Mr. Lysak cited records stating that at least 1,074 prisoners were executed in May 1978 at the S-21 prison in Phnom Penh. Of that amount, 582 were executed in one day, which is a number higher than the amount of prisoners killed last year in Iran, the country with the highest death toll in the Amnesty International report at 567. “The scale of killings is an unimaginable atrocity. Anyone who would say that the prosecution of the Khmer Rouge leaders is ‘winner’s justice’ is either in utter denial or simply oblivious to the reality and scope of the atrocities that took place here,” Mr. Lysak said. Failed efforts by Khmer Rouge leaders to destroy the paper trail of documents outlining their crimes—particularly minutes of meetings between the regime’s leadership and zone commanders about issues including interrogations—left no doubt of Nuon Chea and Khieu Samphan’s culpability, he argued.